For most of us, at least in those countries where Christmas is observed as a holiday, today is a day of family and gift-giving, a day off from work, of singing and worship and memories of Christmases past. For some of us, it’s a day of work. 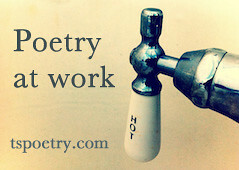 And today we at Tweetspeak Poetry would like to recognize and honor those who are working today for the rest of us. For the soldiers stationed overseas and at home. For the doctors and nurses and hospital technicians who are tending the sick, delivering babies, and performing emergency operations. For the EMTs who sit in their vehicles, waiting for the call. For the men and women of our police and fire departments – we hope your day at work is boring and uneventful. For our border guards and Coast Guard who patrol and process visitors through today. For the pilots and flight attendants who work the skies today. And the ticket agents, baggage handlers and security people who are working the ground today. For the hotel clerks, housekeepers and restaurant workers who keep their establishments operating. For the pharmacists and drugstore workers who are there to dispense needed medicines. For the truck drivers on the road, and the restaurants who serve them and other travelers. For the city, country and state roads and highways departments, who watch the weather and prepare for snow. For the people who sell us tickets, popcorn, and sodas (and Raisinets!) and run projectors so we can watch the newest movie blockbusters. For the journalists and cameramen and women who are working to produce the news and make sure we have a newspaper on the lawn tomorrow morning. For the pastors and priests, choirs and musicians who lead worship services today. 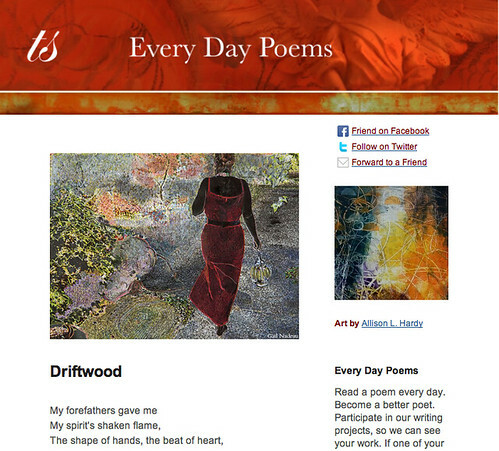 For all of you, and so many more, you who are bringing us the poetry of your work today, we thank you. Photograph by Jody Art. Sourced via Flickr. Post by Glynn Young, author of the novels Dancing Priest and A Light Shining. Buy a year of happy work mornings today, just $5.99. In December we’re exploring the theme Haiku. It’s Poetry at Work Day! Thanks for the reminder of those who don’t take a day off, but tend to business to protect and serve all of us! Happy New Year to you and your family! Glynn, you are so right…thank you for the reminder, as we were among those enjoying the labors of those whose work is poetry in motion, attending a movie and enjoying dinner out. We flew on Christmas Day, so I noticed all the people working. The most impressive: Deborah, our waitress at Denny’s.